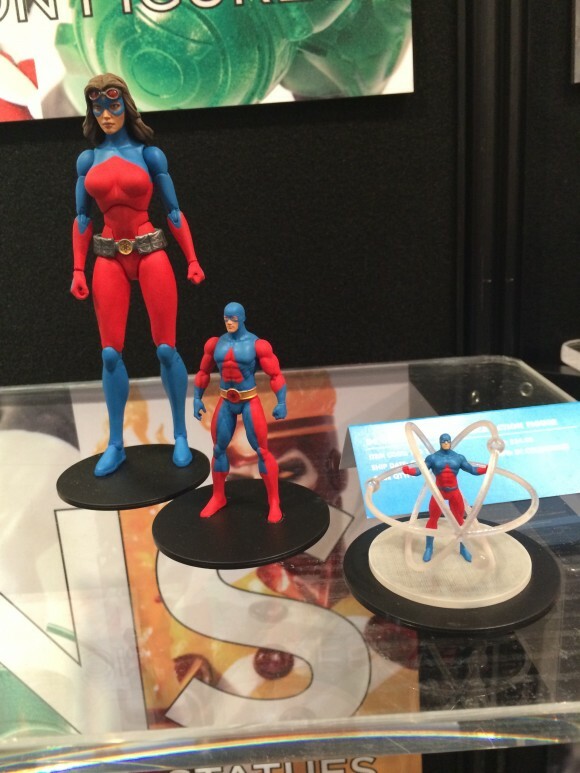 The ATOM WINS TOY FAIR 2015! 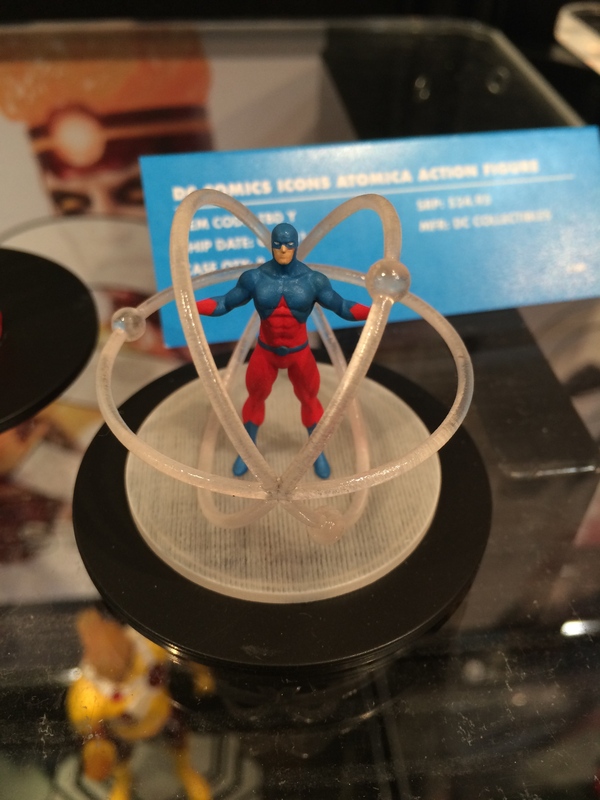 Home » ACTION FIGURES & MERCH » The ATOM WINS TOY FAIR 2015! Sure, there are higher-ticket items. Sure, there’s fancier merchandise. But this year, let’s get small. I had an absolute blast at Toy Fair this year and saw a LOT of great stuff. Every year, I wonder how it can get any better to be a collector and every year, it gets better. The Atom, from the forthcoming Icons line. 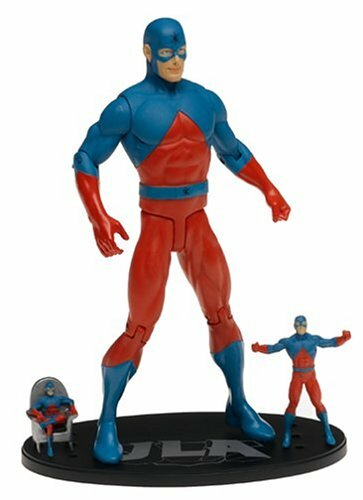 Or, more specifically, the mini Ray Palmer figure that comes with the Atomica figure (and which also includes a small Ryan Choi Atom). By now you may think I’m pulling your tiny little leg but I swear this is the thing that got me the most excited — at a show where we saw a tremendous Batman: The Animated Series Batmobile, terrific Planet of the Apes figures, charming bendable Batman ’66 figures, gorgeous Avengers statues and many, many versions of the Tiny Titan’s Marvel counterpart, Ant-Man. 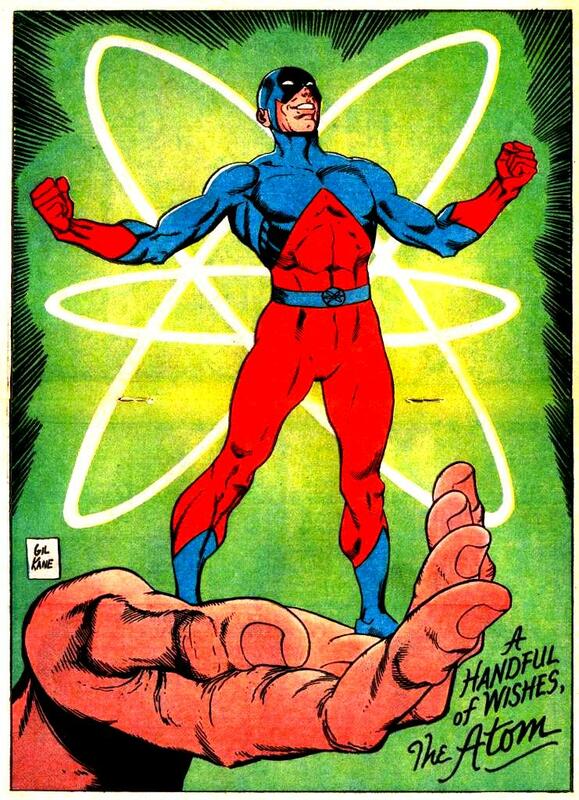 But when I saw the Atom, surrounded by three electrons, doing his best Gil Kane pose, I plotzed. 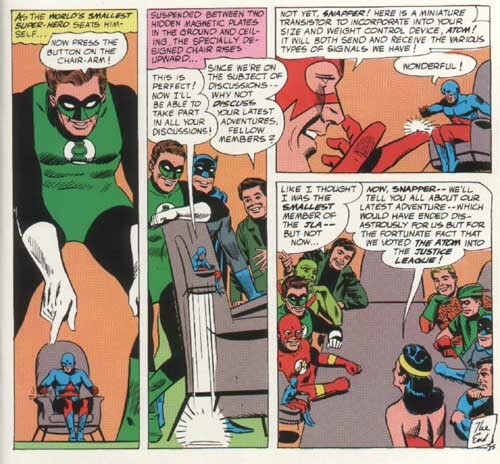 From The Atom #26, which also featured the Bug-Eyed Bandit, who will be played by Emily Kinney on TV’s “The Flash” and who looks nothing like a dude with a goatee. We’ve had tiny Atoms before — the best being the seated version released by DC Collectibles’ forerunner — DC Direct — back in 1999. From our friend Scott Tipton’s Comics 101. The bottom line is that I really appreciate the ingenuity that goes into a figure like this: It’s not just the size and pose — it’s the total package with the whizzing electrons. It’s a small thing, pardon the pun, but it’s not at the same time. And it’s emblematic of Toy Fair itself — a trade show about fun. P.S. My high-school-student son pointed out that, according to the Periodic Table of Elements, those three electrons orbiting the Atom make him akin to lithium — which the always-reliable Wikipedia describes as “a soft, silver-white metal belonging to the alkali metal group of chemical elements. Under standard conditions it is the lightest metal and the least dense solid element.” Science!